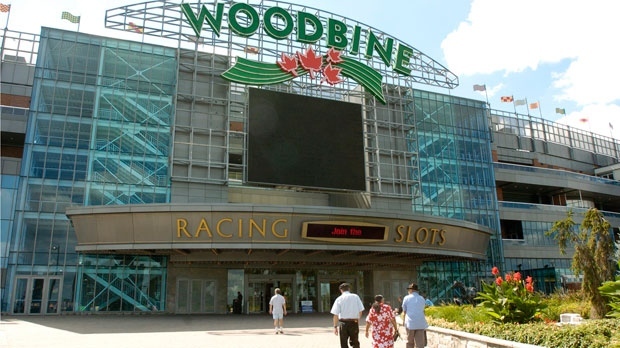 The Ontario PC Party is calling on the provincial government to halt a multi-billion deal with Great Canadian Gaming, a casino operator that was recently awarded a contract to run OLG Slots at Woodbine Racetrack in Etobicoke. In August, Great Canadian Gaming and Brookfield Business Partners LP won a bid to run three OLG facilities in the province, including Woodbine, but Ontario PC Finance Critic Vic Fedeli wants the government to put the deal on hold so more information can be gathered about any possible ties the company might have to alleged money-laundering activities at its River Rock Casino Resort in Richmond. “I think the main impetus is to ensure integrity in the industry. The government continues to say they knew nothing about this but we are asking them to halt, right now, while we gather the facts,” Fedeli said at a news conference Monday. Great Canadian Gaming denies any wrongdoing and in a statement released earlier this month, the company said it is following “all procedures required” by the B.C. Lottery Corporation. “Contrary to suggestions in certain media reports, to our knowledge our company is not under investigation in any jurisdiction. Our employees followed all procedures required of them by BCLC and we do not believe our company's actions would give cause to initiate any investigation,” the statement read. “In relation to the recent charges in the RCMP's E-Pirate probe into alleged money laundering activities, Great Canadian initially detected this suspicious activity at River Rock in 2012. Our ongoing monitoring and reporting to BCLC was, in fact, crucial to identifying these individuals to authorities. We are pleased that charges have been laid as an outcome of our collaborative work with BCLC and law enforcement." Premier Kathleen Wynne said the province is “paying close attention” to the situation. “There are very clear anti-money-laundering provisions in place. The OLG has those in place but we’ll pay very close attention to it given what’s happened in B.C.,” Wynne said. “OLG has confirmed with B.C. and Ontario regulators that Great Canadian is not under a criminal or regulatory investigation in British Columbia or Ontario for illegal activity involving money laundering. OLG is satisfied that Great Canadian (as part of Ontario Gaming GTA LP) will fulfill the opportunities in the GTA Gaming Bundle in a responsible way,” the statement read. Ontario Finance Minister Charles Sousa said if concerns about the company arise, the situation will be dealt with then. 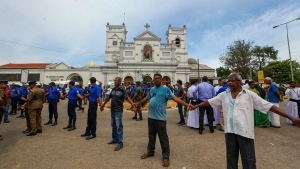 "It is my understanding that there is no investigation of the proponent and the opposition are inferring criminality but that is not the case so I am allowing the process to proceed," Sousa said. "If there are anti-money laundering concerns or suspicions, of course they should be reviewed and that happens in every type of organization and jurisdiction." The entrance to Woodbine Racetrack on Thursday, Sept. 1, 2005.